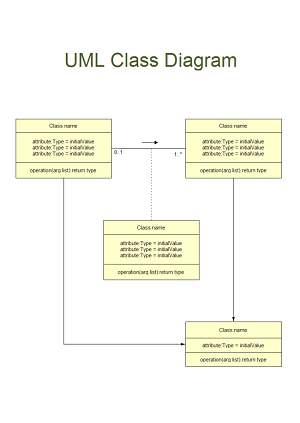 UML class diagram represents the static view of an application, which can be used both for general conceptual modeling and detailed modeling. Here is a guide on how to create UML class diagrams. UML class diagram, a type of static structure diagram, is composed of classes, interfaces, associations, collaborations and constraints. Generally, the UML class diagram is used for visualizing, describing and documenting various aspects of an application but also for constructing executable code of the software application. Following is a step by step tutorial about how to create UML diagram with a professional UML Diagramming Tool. 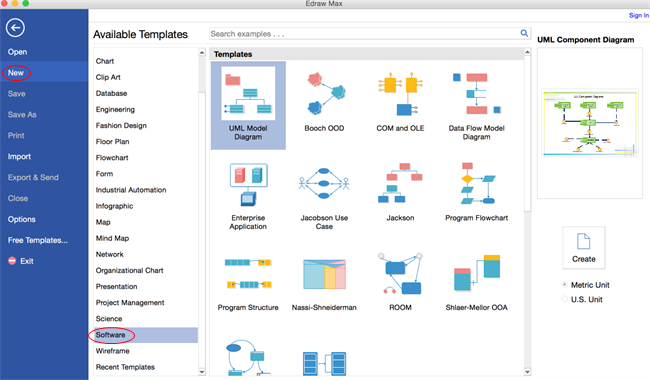 With the help of this UML Diagramming Tool, it's easier than ever to create a UML class diagram, its rich pre-made shapes and smart connectors in the library enables you to get started quickly. Go to File menu > New > Software, and then double click the icon of UML Model Diagram. Drag and drop shapes from the left libraries. Click Connector under Home tab, and select a kind of connector, then rest the pointer over a connection point of the shape you want to connect. Double click a shape to type in text. It is also available for you to customize the size, color and alignment. 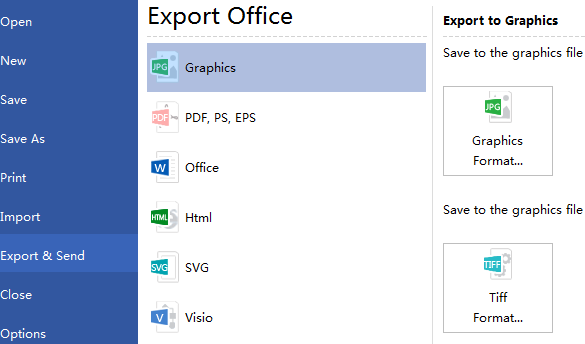 Hit Save on File tab to save as the default format .eddx, or choose Save as on File tab to save as other formats. Note: you can also choose to save in local files or save in personal or Team Cloud. Click Export & Send under File to export the UML class diagram to other formats including PowerPoint, JPG, PDF and so on. Here are some UML diagram examples for your reference.